Did Steve Jobs meet Neem Karoli Baba? Neem Karauli Baba or Maharajaji is compiled in the greatest saints of the twentieth century. Their birth place is situated in Gram Akbarpur district, Firozabad, Uttar Pradesh, 500 meters from Kihirangaon.The scissor is located at the left side of Bhubaligad, 7 km from Nainital, Bhubali. The Annual Festival is held on 15th June every year in the Kaisi Temple. On that day there is a huge crowd of devotees of Baba here.Maharajji is one of the Indian Divine people of this era. 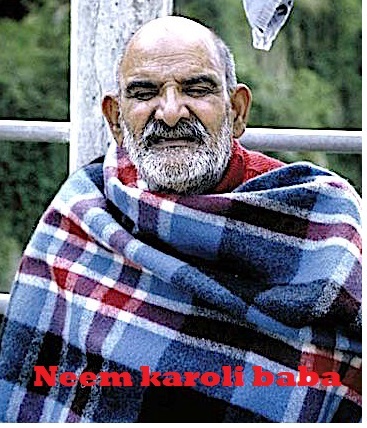 Shree Neem Karoli Baba is said to be Maharaj Ji. It is believed that till Maharaj was 17 years old. Then he knew everything. That can not be understood in today's era. They had all the knowledge in such a small age. There was complete knowledge about God. Explains, Lord Shri Hanuman is his Guru. Where the world's most famous company has come from Apple founder Steve Jobs to present the most popular social media site, Facebook founder Mark Zuckerberg. And understand the power of this temple. But let's tell you the complete history of how the cane dynasty was built. After the founding of Dham, one of his American devotees, Ram Das, wrote a book on him. Since then, the attractions of the world are spreading to the cane dham. 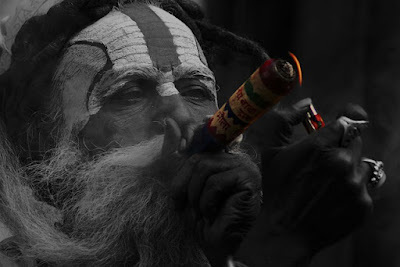 Baba Neem Karoli was born in a Neem Karauli village in Firozabad, Uttar Pradesh, so he also kept his name Neem Karoli. Most of the foreigners coming to the Neem Coroli's ashram are from the United States, probably because they have had the effect of Ram Das' book which inspired them to come here, but no one has been left empty handed here. The first name of the people who came to meet Neem Karoli Baba in Kache Dham is Apple's founder Steve Jobs. Steve Jobs was troubled by the life. We all know this. It is believed that Steve Jobs came to India on a spiritual trip with his friends when he had seen Neem Karoli Baba in Kaanche Dham. And after returning back, Apple was founded. It can not be said here that Steve Jobs Neem Karlai Baba gave Ardishi and he succeeded. But it can be said that Steve Jobs got spirituality here on which he got the courage to make a path in his life. And this was said by Steve Jobs himself in one of his interviews that both science and spirituality are necessary for them, because spirituality is what helps them to choose the path. The International Businessman who came here after Steve Jobs is Facebook founder Mark Zuckerberg. When Fasubak was operating in a deficit At that time Mark Jugillberg had come here Although Neem Karoli Baba's death was done in the year 1973, but the tomb was made in the Kaanche Dham, which was exhibited in Mark Jugalbarg. And as you all know, Mark Jugelberg has become the world's third richest man in today's time. There are some such facts which strengthen the faith towards this Dham in the people who come here. Let us tell you that the statue of Hanuman ji is very beautiful in addition to the Samadhi of Neem Karoli Das and five Goddesses. Probably because Neem Karoli Baba was considered as the incarnation of Hanuman. The big names that came here include former President Viv Giri, English General Makannah, India's first Prime Minister, Pandit Jawaharlal Nehru. If this is said in easy language, then this temple is probably so prevalent, because people coming through different dilemmas in their life get a vision.